Save tax on buying a preventive health checkup. Now you can save money with tax exemption on health checkups. In the union budget of 2011-12, the Government of India has announced tax benefits under section 80D (IT Act) on preventive health checkup up to Rs. 5000. A tax waiver of up to Rs. 5000/- will be given on payment made against a preventive health check-up within the overall deduction of Rs. 15,000 available with respect to premium paid towards a health insurance policy for self, spouse and children. Preventive health checkups save you from a lot of hassle, trauma and most importantly it saves life! Now in addition to saving money incurred in treating unplanned and expensive medical emergencies, one can also save money as a tax rebate given by Government of India on buying a preventive health checkup for self or family members. Now, you have all the more reasons to go for regular preventive health checkups beyond knowing your health status and detecting disease early in their origin. How to claim the tax benefit on preventive health checkup? At the time of investment declaration, salaried professionals can submit a photocopy of the bill/receipt to their employer. Non-salaried people can secure the original receipt with them and produce in case the ITO demands to see it in the future. 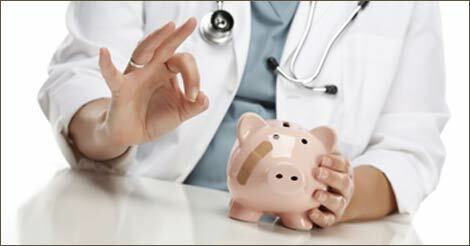 So, enjoy the tax benefit on medical checkup and safeguard your family's health as well. When you buy a full body checkup or any other package, you get to reap many benefits. These packages help you to save life and tax, which comes under section 80D. Getting a health checkup and tax saving means double benefit as it brings health awareness along with assured tax saving for you. So, hurry up and avail the benefits today only. Fill up the below query form for more information and queries.